« Study: Is Canola Oil Consumption Linked to Alzheimer’s Disease? 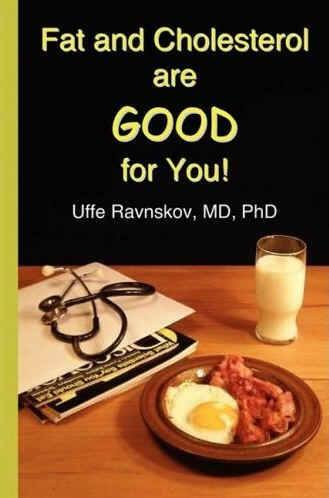 Books by doctors, such as Dr. Ravnskov and Dr. Kendrick, exposing the cholesterol and saturated fat myths have been around for decades. It seems to coincide that when fraudulent medical or nutritional dogma promoted by mainstream medicine or government nutritional institutions starts getting exposed in the alternative media, they both double down with the aid of mainstream media, especially if the result of that exposure is lowered sales of statin drugs and processed non-fat foods. This is what is happening with both statin drugs and saturated fat disinformation. But now the empire is striking back. 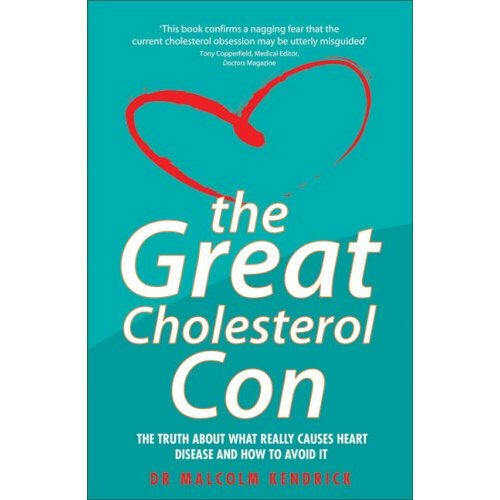 There has been a great deal of success exposing this fraud from online sites like Health Impact News and others, about both the lack of efficacy and danger from using statin drugs while pointing out the fallacy of what they’re supposed to protect us from, cholesterol from saturated fats. You can access more articles on statin drug and cholesterol misinformation from Health Impact News’ archives here and here. Dr. Nissen cries, “We are losing the battle for the hearts and minds of our patients” to natural drug-free remedies! Another study printed in a Harvard Medical School newsletter, “Heartbeat: Statins may need a boost in blacks” lamented that black people’s genetic disposition makes statin drugs less efficacious with them. The implication from that article is other cholesterol lowering drugs should be added along with ensuring black people take their statin drugs and not drop out of taking them regularly or at all. These notices could be considered polite misguided endorsements for more statin drug use. Cleveland Clinic cardiologist Dr. Steven Nissen was not so polite. He initiated the most recent and strongest push-back attempt to put down claims that statin drugs create dangerous side effects and are unnecessary because cholesterol is not responsible for heart disease. His op-ed article, “Statin Denial: An Internet-Driven Cult With Deadly Consequences” first appeared in the August 15, 2017 edition of The Annals of Internal Medicine. 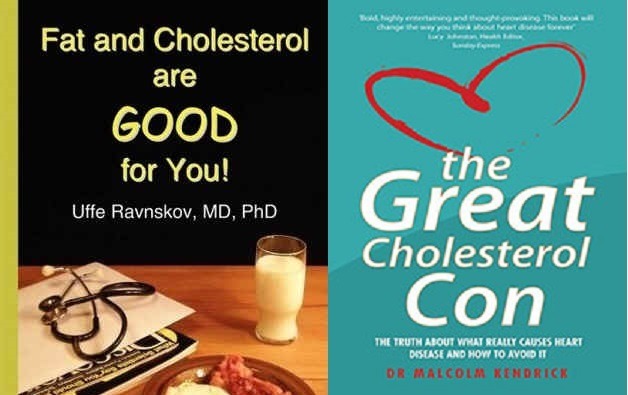 We are losing the battle for the hearts and minds of our patients to websites developed by people with little or no scientiﬁc expertise, who often peddle ‘natural’ or ‘drug-free’ remedies for elevated cholesterol levels. This ‘Internet-driven cult’ denies statins’ benefits and whips up fears of side effects, then profits from the resulting confusion by peddling snake oil. The diversion of patients away from evidence-based therapy by advocates of unproven dietary supplements must be vigorously opposed by physician-scientists. Similarly, the claims that cult diets can reverse heart disease have no scientific basis and represent a danger to public health. He also mentioned that most adverse side effects from statin drugs are nocebo, or imagined and not real. Dr. Nissen’s opinion didn’t stay in that journal, which requires subscription for complete readings. It was picked up by several mainstream health writers as an authentic authoritative perspective on the statin drug issue. For example, LA Times health reporter Melissa Healy wrote up her coverage of Nissen’s diatribe under the heading of “Fake news about statins is discouraging the use of these life-saving drugs, expert warns” in the paper’s July 24, 2017 edition. It’s time we look at the evidence and stop letting the pharmaceutical companies and food industry pull the wool over our eyes. Is Your Doctor Bought by Big Pharma? Dr. Jason Fung did some checking on Dr. Nissen’s pharmaceutical financial connections in his Medium article “The corruption of modern academic medicine — How your doctor was bought.” Dr. Fung discovered from ProPublica that Dr. Nissen received a total of $80,000 in 2016 from major pharmaceutical firms. … further, he [Dr. Nissen] received money from 3 of the biggest drug firms (Amgen, Pfizer, and Astra Zeneca) on the planet to do research and write papers. Dr. Fung contrasted Dr. Nissen’s payments from the pharmaceutical industry with the complete lack of financial connections to Big Pharma of Dr. Aseem Malholtra, who appeared in the above video, Dr. Robert Lustig, and Dr. Maryanne Demasi. You may have seen the following Australian news documentary before on Health Impact News. It was not allowed to be seen again after the Australian Broadcasting Company (ABC) was pressured by medical associations and factions of the pharmaceutical industry. This documentary interviews cardiologists, science writers, and other experts who expose the saturated fat and cholesterol myth. It’s in two parts and worth viewing again even if you’ve seen it before, featuring the aforementioned Dr. Maryanne Demasi. Tagged cholesterol. Bookmark the permalink.